THIS BOOK IS FOR OUR HIGH-END DONORS $$$ In the long run, the C.R.E.A.M. always rises and the crap always sinks. Hillary Diane Rodham Clinton is an American politician who was the 67th United States Secretary of State from 2009 to 2013, U.S. Senator from New York from 2001 to 2009, First Lady of the United States from 1993 to 2001, and the Democratic Party's nominee for President of in the 2016 election. Born in Chicago, Illinois, and raised in the Chicago suburb of Park Ridge, Clinton graduated from Wellesley College in 1969, and earned a J.D. from Yale Law School in 1973. After serving as a congressional legal counsel, she moved to Arkansas and married Bill Clinton in 1975. In 1977, she co-founded Arkansas Advocates for Children and Families. She was appointed the first female chair of the Legal Services Corporation in 1978 and became the first female partner at Rose Law Firm the following year. As First Lady of Arkansas, she led a task force whose recommendations helped reform Arkansas's public schools. As First Lady of the United States, Clinton fought for gender equality and healthcare reform. Because her marriage survived the Lewinsky scandal, her role as first lady drew a polarized response from the public. Clinton was elected in 2000 as the first female senator from New York. She was re-elected to the Senate in 2006. Running for president in 2008, she won far more delegates than any previous female candidate, but lost the Democratic nomination to Barack Obama. On April 12, 2015, Clinton formally announced her candidacy for the presidency in the 2016 election. 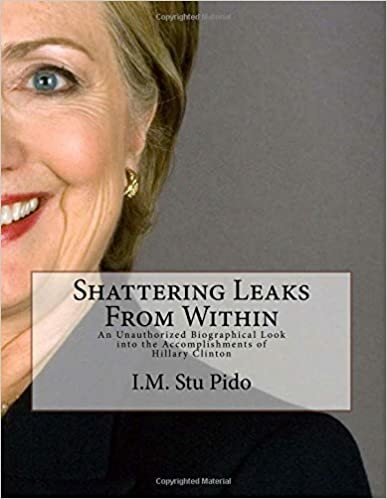 She had a campaign-in-waiting already in place, including a large donor network, experienced operatives, and the Ready for Hillary and Priorities USA Action political action committees, and other infrastructure. Focuses of her campaign have included raising middle class incomes, establishing universal preschool and making college more affordable. Initially considered a prohibitive favorite to win the Democratic nomination, Clinton faced an unexpectedly strong challenge from democratic socialist Senator Bernie Sanders of Vermont, whose longtime stance against the influence of corporations and the wealthy in American politics resonated with a dissatisfied citizenry troubled by the effects of income inequality in the U.S. and contrasted with Clinton's Wall Street ties. Citizens Revealing Ethicless & Apathetic Media is a political organization formed for the purpose of addressing the social, civic, legal, political and constitutional consequences of the media that provides for the citizens of the United States. Our focus is to evaluate reporting that we feel is ethicless and apathetic. Five general initiatives are utilized to accomplish this goal: 1) Identification, 2) Reporting, 3) Education, 4) Issue Advocacy and 5) Representation. The organization educates citizens by informing them of media outlets and reporters whom we believe are unethical and apathetic, inform them of current events that may affect their lives and advises them on what they can do to influence the outcome of these affairs. C.R.E.A.M. believes that education is the primary focus of its purpose because citizens cannot be motivated to take action without knowing what is important to them. Issue advocacy is the advancement of concerns affecting the citizens of the United States. C.R.E.A.M. promotes topics that positively impact the citizens of the United States and condemns those that may be adverse to their values. C.R.E.A.M. understands that in order to make significant progress, the citizens of the United States must identify and select political leaders that will represent its interests. Without a voice, citizens of the United States cannot be heard. Contact Email: creampac@gmail.com Twitter: @creampac Contact us on how to help the cause and add your financial support. *Our lawyers require that we advise you that this book is almost blank and contains precisely 5294 words.